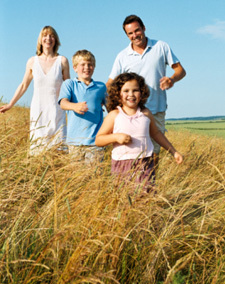 We’ll help your family feel great! We understand what it’s like to live in pain and how important your health is. After all, that’s why we’re here. We make care lighthearted while always ensuring you are in the loop about your health and in control. We ensure your comfort as we provide the best care possible. With chiropractic care, acupuncture, massage therapy and physiotherapy available, we’ll make sure you receive the proper care for your needs. Our chiropractors are trained in a variety of techniques and use their experience to personalize your care. With years of combined experience and safe, proven adjustments, Dr. Evans and his team will find the techniques best suited for you. For those that prefer not to be manually adjusted, we can do an instrument adjustment for you. We’ll talk to you about how it will feel and also how the sound that you hear is gas being released in your joints. You’ve tried everything but nothing worked. Contact us to experience how our safe and proven chiropractic techniques can bring you relief. Schedule a risk-free consultation today! The VibraCussor® is an adjusting tool that penetrates deep within the body tissues, stimulating your body’s own healing properties.